The housing market has been recovering steadily lately, but the current government shutdown may interfere with that progress. For the first time in 17 years, the government has partially shut down. Besides other important implications, this shutdown could affect people who are looking to buy a home or refinance their current mortgage loan. Around 90 percent of all mortgages are government backed, but the loans that are purchased by Fannie Mae and Freddie Mac won’t be affected, because these two companies fund their operations with money from fees that they charge mortgage lenders. Other popular government backed mortgages include loans offered by the United States Department of Veteran Affairs (VA), the United States Department of Agriculture (USDA) and the Federal Housing Administration (FHA). It seems that the loans offered to military personnel by the VA won’t be affected by the government shutdown. Loans offered by the FHA, which account for 45 percent of all mortgages issued in 2012, will be most affected during the government shutdown. The Department of Housing and Urban Development announced that they will stop processing mortgage loans insured by the FHA if the government shuts down, but they reconsidered their position a few days later. How is a Government Shutdown Affecting the Housing Market? Normally, a government shutdown means lower interest rates, so an increase in the number of new mortgages is expected, but this shutdown comes at a very bad time, because the construction industry and sales for new homes were just starting to recover faster. 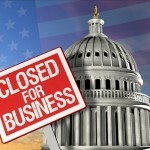 Here is how a government shutdown affects the housing industry and those who are planning on taking out a mortgage loan. 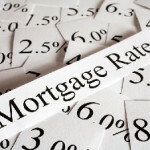 Lower interest rates for mortgages. Interest rates have been increasing steadily lately because the economy is growing stronger, but a prolonged government shutdown can impact the economy in a negative way, so interest rates will most likely stop increasing, and even start going the other way. The longer the government shutdown lasts, the more will mortgage lenders decrease interest rates. However, it looks like, so far, the government shutdown had a smaller than expected impact on interest rates. The mortgage application process may be slowed down. 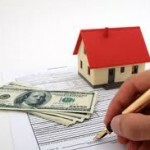 When someone applies for a mortgage, the lender has to verify the borrower’s income by checking his or her tax returns. Because the Internal Revenue Service workers are not working due to the government being shut down, lenders will have a hard time checking a borrower’s financial situation, so his or her application process may be put on hold until the government resumes its activity. The housing market is weaker. Because many people employed by government agencies, such as the United States Housing and Urban development, are not working during a government shutdown, the housing market will face numerous difficulties. People who are in the market for a home or those who wish to refinance their mortgage could be unable to get their applications approved, so the number of home sales and mortgage refinances may decline. When the government shutdowns started to seem inevitable, the U.S. Department of Housing and Urban Development (HUD) announced that processing loan applications for FHA mortgages will be put on hold. In order to support the housing market, that position has been reversed, so applications for FHA mortgages will still be processed. 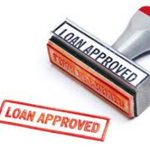 However, only loan applications for single-family homes will be processed. Loan applications for condos will not be processed during the government shutdown. As long as the government shutdown is brief, the U.S. Department of Housing and Urban Development does not expect the housing market to be significantly affected. Because the Federal Housing Administration (FHA) is also a government organization, it will probably be unable to process the loan applications at the usual rate, thus some home buyers might be affected by the slower than usual approval process. Other than that, FHA mortgages shouldn’t be affected too significantly by the government shutdown, as long as it doesn’t last for a very long while. If you are a home buyer or a homeowner who is waiting for an FHA loan to buy a home or refinance a mortgage, the current government shutdown might make the approval process slower for you, or interfere with your ability to get the loan. Most government employees are not working during the government shutdown, making it harder for lenders to check your financial situation, and for your loan to be approved. Being free of debt is a great way of enjoying your retirement years. Most people agree that paying off your mortgage before you retire is something that will give you peace of mind and more financial freedom. 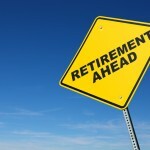 However, many people end up retiring before their mortgage is paid off, which might not be necessarily a bad thing. Like everything when it comes to mortgages, what is best for one home owner may not be the best for another. 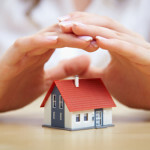 Essentially, paying off your mortgage before your retirement years is advantageous, but there are cases in which not paying it off is the better choice, especially if getting rid of your mortgage involves a large financial sacrifice (Read: Should You Rely on Home Equity When You Retire? Think Again!). Not having to worry about a large debt after retiring will most likely make your life much easier. Unfortunately, paying off a mortgage earlier is not always a good idea. With today’s interest rates, you are probably paying less than 5 percent on your mortgage loan, and more than 10 percent on your credit card balances. Mortgages are considered a good debt, which means that you should pay them off last, and worry more about other type of debt. Unless you have large assets that you can use while retiring, you should think twice before paying off your mortgage. Your retirement accounts have more tax advantages, so you should put your money into those before paying off debt. An even worse idea is to pay off your mortgage using money from your retirement accounts. You will have to pay a large penalty for the withdrawal, and end up spending more than you would on your mortgage. Also, if you are able to refinance your mortgage loan, you could be saving thousands of dollars. However, refinancing is expensive and you have to include closing costs in your calculations before deciding if refinancing will save you money, or you should keep paying the mortgage as before (Read: Do You Make These Mistakes? Don’t Kill Your Mortgage Refinance!). There are more reasons to pay off your mortgage before retiring than there are to not pay it off. To find out even more reasons click here. Taking the necessary steps to make sure that your retirement accounts are replenished is very important before deciding whether paying off your mortgage is worth it or not. Here are the reasons why getting rid of your mortgage should come before retiring. Peace of mind. After years of making large payments each month, you can finally say that you truly own your home. This is especially important after retiring, when your income probably won’t be as large as before, and the chances of generating additional income are thin. Finding a job, investing or starting a business in your retirement years is unlikely, so not having to worry about the risk of losing your home if something unforeseen happens, or about having to make a large payment each month, is a blessing. To learn more about the benefits see this. Savings in interest. Over the life of a mortgage loan, you will be paying tens or hundreds of thousands of dollars in interest, so paying it off as soon as possible means that you avoid paying all that interest. 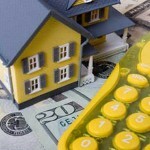 Even refinancing into a shorter loan will bring great savings, as long as you don’t spend a lot on the closing costs. Not only will you be mortgage free by the time you reach your retirement years, but you can also use the money that you saved for something that will make your retirement much more enjoyable. It allows you to focus on spending less. The process of paying off your mortgage allows you to focus on saving for retirement, as well. If you wouldn’t have a monthly mortgage payment, you might be tempted to use that money to make other large purchases, like an expensive car. Deciding to pay off your mortgage puts things into perspective and gives you a chance to focus on your future plans. Build equity. Paying off your mortgage means that, if you ever need money once you are retired, you can take out a loan against the equity in your home or sell the home and have access to all the equity in it. You can use the money to pay your medical bills, buy a condo, or even for traveling (Read: Home Equity Loan). Avoid higher interest rates if your rate is adjustable. 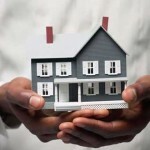 Adjustable-rate mortgages can be either advantageous or disadvantageous, depending on how the interest rate fluctuates. If the interest rate keeps rising, then you might end up with a larger down payment during your retirement years, so paying your mortgage off makes sense. Not paying off your mortgage before retiring makes sense in some cases, but not having to pay a large bill each month is more beneficial. Unless you have to dip into your savings and retirement accounts to pay off your mortgage, the peace of mind that not having a mortgage brings outweighs the pros of keeping your mortgage during your retirement years. 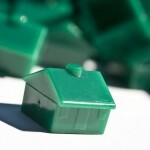 Many home owners have been affected by the recent housing market crash. Many people have lost their homes to foreclosure, while others ended up owning a home that is worth much less than it did when they bought it. Having to pay back a mortgage loan for a home that is worth much less than it did before the crisis will make most home owners want to get rid of it. Unfortunately, selling your home for less than you owe, means that you will have to pay back the difference to your lender. 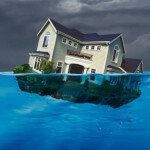 Abandoning your home if your mortgage is underwater is a solution, but you will have to live with the consequences of foreclosure (Read: The Foreclosure Process). Having your credit ruined and not being able to take out a new loan for several years is not an option for most people. Because many home owners are underwater on their mortgage and facing foreclosure, many municipalities have started looking for solutions to avoid having to deal with whole neighborhoods of deserted homes. One of the ways in which counties and cities are trying to help home owners who own more than their homes are worth is eminent domain. Click here to read more. The power of eminent domain allows the government and its agencies to take private property and use it in a way that benefits the public. For example, the government can use a seized property for a school, a park, a new road and more. The owner of the property that is seized by the government under eminent domain is entitled to compensation, which is usually the fair market value of the property. The government agency that is interested in your property hires an appraiser who will inspect and appraise the property, after which the organization makes you an offer. The offer will generally be low, but there is some room for negotiations. After the negotiations, if you are not satisfied with the offer, the organization will schedule a public hearing in which it will have to prove why your property is needed for public use. After the public hearing, the government agency will submit a complaint against you in court, which you can challenge, but it will be most likely overruled. Your attorney will have to obtain appraisal reports from other appraisers in order to determine the property’s fair market value. Eminent domain can also be used to help home owner whose mortgages are underwater. Some analysts say that underwater mortgages slow down the economy, so using eminent domain will help the economy and allow people to stay in their homes. Others say that using eminent domain to save underwater mortgages will hurt the economy because lenders will react to this by increasing interest rates. Click here to learn more about the restrictions. Using eminent domain to save underwater mortgages was attempted in a few Californian cities back in 2012. The plan was abandoned because it didn’t receive the public support that was expected, and was strongly opposed by mortgage regulators Freddie Mac and Fannie Mae. While the plan to use eminent domain to come to the rescue of those with underwater mortgages sounds fairly good in theory, it has plenty of disadvantages. Here are the reasons why your underwater mortgage won’t be saved by eminent domain. The eminent domain process is very complicated. Many home owners won’t agree to this method because they probably won’t receive as much money as their home is worth at current market prices. Each home is different, has unique features, so designing a simple plan will be very difficult and will become bureaucratic. Eminent domain can be abused. Most people don’t support this plan because it can easily be abused, so some home owners may receive more than they deserve for their properties, or less. Also, home appraisals rely on the appraiser’s judgment, so there is a chance that mistakes will be made, and many properties will be appraised incorrectly. Lenders and mortgage regulators oppose this solution. Fannie Mae and Freddie Mac, who guarantee 90 percent of all mortgages issued in the United States, do not agree with using eminent domain to save underwater mortgages, so they are threatening with limiting business activities in cities that use this solution. The government will be put in an awkward position. Because mortgages are contracts between lenders and borrowers, a government intervention will not be well received by most lenders. The government usually refrains from interfering with private contracts. Saving underwater mortgages by using eminent domain may seem like a good idea, but there are serious repercussions to following this plan, and most cities will most likely try other methods of helping those with underwater mortgages (Read: How These Alternatives Can Help You Avoid Foreclosure). Eminent domain has its uses, but using it to save underwater mortgages will only cause controversy and put the government in a bad light.